Crackdown on lending shenanigans and bank misconduct plus an onslaught of new condos at worst possible time worry the RBA. The Reserve Bank of Australia has kept its policy rate at the historic low of 1.5% for the 31st month in a row, to do what it can to keep Australia’s housing bubble inflated. 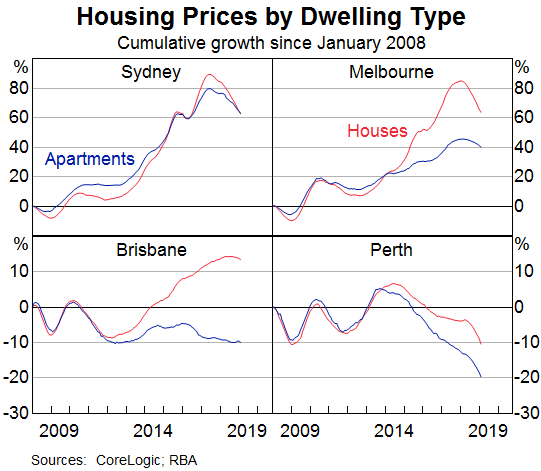 But with home prices spiraling down for other reasons, and with households being among the most indebted in the world, the banks are heavily exposed, and now the RBA is beginning to fret about financial stability. Or rather financial instability, which RBA Assistant Governor (Financial System) Michele Bullock defined in a speech today “as a disruption in the financial sector so severe that it materially harms the real economy.” So, a financial crisis. 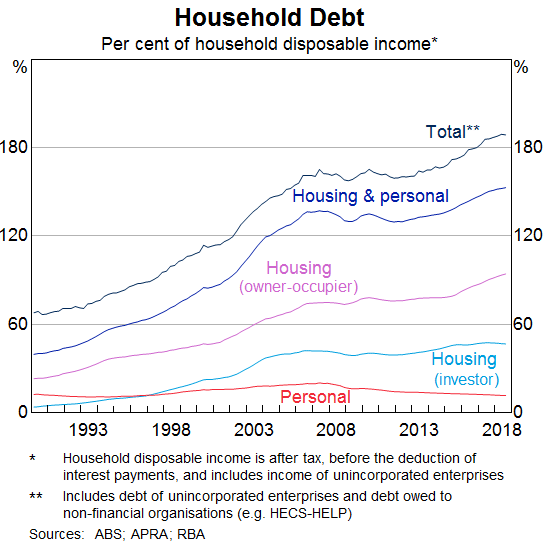 Bullock even names reasons for the surge in household debt – namely the RBA’s own low interest-rate policies and “deregulation” that have “eased credit constraints and increased loan serviceability.” With lower interest rates, folks “have been able to borrow more” and “have been able to pay more for housing.” Hence the housing bubble and over-indebted households, hand in glove. The flood of new condos. “Our main concern with this from a financial stability perspective is the potential for this large influx of supply to exacerbate declines in housing prices and so adversely impact households’ and developers’ financial positions,” Bullock says. 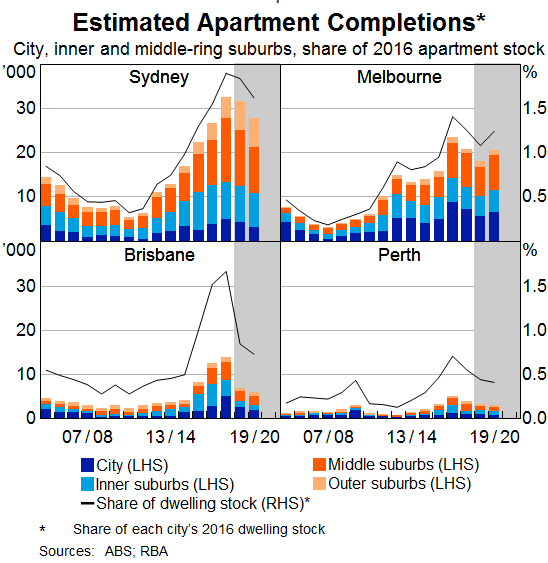 Household fall into the equity hole: “A decline in apartment prices could negatively impact households that purchased off the plan and are yet to settle. They might find themselves in a situation where the value of the apartment in the current environment is less than they contracted to pay for it. And as market pricing falls, lenders will revise their valuations down and so will be willing to lend less. Households will therefore have to contribute more funds, either from their own savings or loans from other sources. The crackdown on bank misconduct is a financial instability risk. “It is possible that tighter lending standards could be impacting developers of apartments. This could be direct, reflecting banks’ desire to reduce their exposure to the property market, particularly high-density development. It would be hilarious, if it weren’t so serious: The RBA says that financial stability risks are caused by this belated regulatory crackdown on lending shenanigans and bank misconduct, when in fact lending shenanigans and bank misconduct made this bubble possible, and it is this bubble that is causing financial stability risks. The RBA should have tried years ago to tamp down on this bubble – rather than trying to inflate it further by cutting its policy rates and keeping them at historic lows. “Over a protracted period of good times, capitalist economies tend to move from a financial structure dominated by hedge finance units, to a structure in which there is large weights to units engaged in speculative and ponzi finance”. – Hyman Minsky; The Financial Instability Hypothesis. Very true. I think Minsky believed that too much non Government debt will crash a speculative economy (subprime crisis) whereas too much Government debt (Japan last 25 years and USA last 10 years) will turn an economy into a zombie. Sorry Steve keen. If you cannot grow GDP the old fashioned way, then too much household debt is a lesser evil. Well, unless the citizens of that economy are good savers. Tokyo (9 million population) has less billionaires, less crime and less homeless people than (1 million population) San Francisco. Recently I watched a YouTube video about Japan’s underclass, called “burukumin” or “village people” basically the descendants of people who used to tan leather, etc do tasks in life that were looked down upon as “low” and it showed where they lived, and I thought, “I’d happily live in that Japanese slum”. Mike Maloney, in one of his many excellent graphs, has shown that private and corporate debt are at the most extreme levels now, confirming what Steve Keen says about private debt. 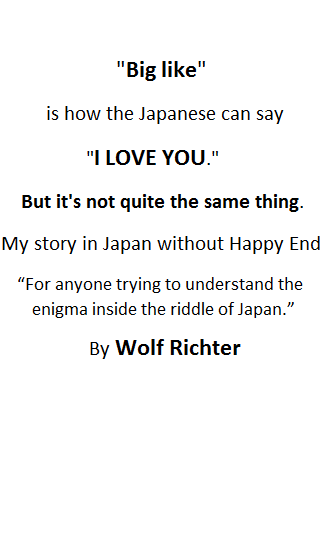 After the decadence and the hubris comes the reality check…Ozzies need to speak to the Japs about that, 30 years ago they had a similar awakening and the effects are still felt today. By the time this plays out, there;ll be w hole generation of Australians who won’t go anywhere near financial speculation (including RE) because they’ll have grown up witnessing its aftershock. Which, in the end, is a very good thing. Fast, easy money ruins human beings, creates division and jealousies between those with the means to speculate and those without, and ultimately destabilises societies. Yes, the delevering will be very good for the next gens, bringing them back to the reality too many live far removed from now. So while Minsky’s story accurately describes the present financial-market turmoil, it does not provide any satisfactory explanation based on previously established and identified phenomena. It arbitrarily puts the blame for instability on the capitalistic economy without even making the slightest attempt to establish a logical verification for this claim. it is the existence of the central bank that lays the foundation for financial instability. This means that, contrary to Minsky and the other post-Keynesians, the source for current financial turmoil is likely to be the central bank, i.e., the Federal Reserve’s monetary policies. Not so, argue Minsky and the post-Keynesians. They hold that any attempt to revert to a proper free market — a laissez-faire economy — is a prescription for economic disaster. This response is not surprising; Minsky began with the assumption that capitalism is unstable and never questioned this premise. Obviously, then, for Minsky, the only way to fix apparently unstable capitalism is through larger doses of government and central-bank interference with the economy. Capitalism is unstable because human nature is. Stability creates instability because people get overconfident and take risk. This ain’t rocket science, just something very obvious, which geniuses too often have to point out for the rest of us. How much deeper has the explanation have to be to give you the aha moment? Or the problem is that you worship that most perfect of all economic systems, Capitalism? No it ain’t, financialized, distorted, manipulated by the central banksters, and being crushed by the gargantuan debt load it has created. I’m not a Socialist either, but can see the failings of both the aforementioned isms. Those isms need to get left behind, and we need to do better in this century than they did in the last one. Minsky understood that (a) financial stability leads to a buildup of instabilities, and (b) the instabilities had to be removed every so often. The response to the GFC, and continuing easy-money policies since, have instead allowed these instabilities to build for nearly 20 years now. Start with the 1998 LTCM disaster that led to the Russian bond market collapse and the end of the Soviet Union. All the big Wall street banks had to backstop LTCM, with the exception of Lehman Bros who refused to take part. That’s why they were “allowed” to go bankrupt during the GFC, as pay back. Next, the 2000 dot com bust. Most large big tech players were rescued, letting the small fry crash and burn. When the entire system should have been allowed to cleanse itself of deadwood, the mess was just papered over. GFC of 08 – 09 Was the last chance, golden opportunity that was just wasted. The systems last chance at a fresh renewal. After +10 years of attempting to cure a debt overhang by applying more debt has failed, the system is now completely broken and requires a major reset. Getting close. Try going back to the “plaza accord” which was supposed to crash the Japanese economy. Except the Japanese employed QE. To defeat the majority of the intentions of the plaza accord and the whole planet has been slowly dragged into this US created QE financial cesspool, ever since. As what the Japanese did not and will not do, was enact a Tsunami of housing foreclosures on NPL’S. Instead the Japanese banks are simply waiting for the loan holders to die, and then winding it all up nicely in their Estates. Look for china to try simular at least with owner occupied homes.. The Soviet Union ended in 1991. It, like China now, had to get used to living in the world of capital and markets. The oligarchs were the carpetbaggers. So it’s not strange that the new fledgeling woid be vulnerable to world market gyrations. Yes, and antitrust enforcement, raising the minimum wage, increasing taxes, etc etc will crash the economy. Yeah, yeah, something about Austria. Got it, but what about that QT taper, huh? This looks like a contradiction. How do you contain a risk? The only way it could make sense would be if they were saying they are prepared for the event at risk to occur. This doesn’t seem to be true. If the housing market has a serious downturn like the US and Ireland in 2008, the risk to the Oz banks can’t be contained. The Fed came to the rescue in the US and the EU to the rescue in Ireland. Who will rescue the Oz banks? The Oz taxpayer will rescue the Oz banks. The 4 biggest banks are each so enormous that the failure of any one of them would cripple the nation. The Govt., through “Bail-In”, then the ordinary scmucks with a bank account. The ordinary schmucks with a deposit of up to AU$250.000 in one of the big four are government guaranteed – any other amount above that is fair game. A major financial disaster in the early 1900’s in Australia saw the banks being nationalized. Each Australian state ended up with their own bank while the Federal government had another. What shape will the tax payer be in? In the case of the US and Ireland huge loans were necessary. The one for Ireland was possible because although beyond Irish means Ireland is small enough that the EU could handle it. The Fed could, and can, create liquidity (so far) as needed because it issues the world’s reserve currency. Imports to the US and Oz are paid for with US dollars. The US can create them. Citibank was saved by the Fed. Ultimately the bailouts fell on the Irish and US taxpayers but if the market crashes in Oz and there is no huge loan, the burden on taxpayers plus massive austerity may cripple the nation. The IMF comes to mind but it has taken a few hits re: Greece etc. The QE would have to be so big that it would destroy the AUD. NZ, as the OZ banks will tell NZ, you backstop us or we Destroy your Economy FIRST. As all major NZ banks, are OZ owned. Every time there is even a hint of contraction in Au. The Au banks in NZ, tighten lending standards radically overnight. Without warning. Au banks have a long history of doing things like that in NZ. They dont own NZ but they do Effectively own its banking system and they manage it to benefit Au, not NZ, every time. They have a large immigrant population? They also have a weak currency. – Both APRA, ASIC and the RBA are (or at least were) “buddy-buddy” with the australian banks. Running out of subjects to sign up for a life of debt servitude? All the more reason to open up African wildlife habitat for exploitation by the masters of debt! It is telling that the Fed under Powell took less than six months to go from claims of being on auto-pilot with its rate hikes, to panic/capitulation as the Fed’s Ponzi markets and asset bubbles started to crater. The Keynesian fraudsters at the Fed know what’s coming, and I bet they’re making urgent late-night calls to the oligarchs who were the sole beneficiaries of QE reminding them to safe seats on their Gulfstreams when the pitchforks and torches start pouring out of oligarch-pillaged Main Streets in flyover country. How would it feel to be one of those folks who bought in the last 3 years? The last year? I think it would be something to dwell on every day going forward, unless you could just walk away. Maybe Minsky lived in a potomkin village? A lot of Australians and Canadians sure do. Seriously, beyond the numbers this will herald the breakup of marriages and families at the very least. At some point I suspect governments will have to tax wealth and RE rather than income, simply because asset prices and wealth have skyrocketed whIle incomes aren’t really growing. How else will they service the growing debts? When they double or triple the RE tax things will change. Anybody sitting in a high priced house is a target. How else will they service the growing debts? Simple. The central banks will print (inflate) them away. Read Adam Fergusson’s “When Money Dies” for a preview of coming attractions once the Fed and central bank currency debasement ushers in Weimar 2.0. Buy your wheelbarrow now and beat the rush. The Reserve Bank of Australia is not the Fed and the Oz dollar is not the US dollar. Oz can only inflate debts away if is willing to see its dollar crash and pretty much stop imports. Turkey, which was in the midst of a construction craze, has seen it halted as its currency fell by 50% and it can no longer afford imported materials. Au to turkey apple and orange. Au is a mineral commodity treasure trove and there are many who wish to buy “yellow cake” (There are abundant know supplies) that Au is currently not even allowing to be mined SHTF watch that policy change. OVERNIGHT. Au will get rocky but not majorly so, in the 1930’s, it was still a place, where nobody went hungry. Well, they could tax imported finished goods. For sure. They would have to. But Oz is nowhere as self sufficient in manufactures as say the US, which has the least need to trade of any developed economy. For example, all new cars in Oz are imported. ‘All is contained’ .. Ha ha ha ha ha ha …… HA HA Ha Ha he he he ha ha ….. I was at the bank just last week talking to the investment/lending manager. He is writing up mortgages but not very many. If you buy a property for 1 million dollars, the bank will take the expected downturn for this year (around 10 – 12%) and take that off the value. So now your property is potentially valued at $900,000. Then there is the bank risk value – around 30%. So your property is bank valued at around $600,000 for mortgage valuation. The bank will write a mortgage on 70% of their valuation. That is if you qualify and then the interest rate will be high. Your mortgage may be allocated between 400 – 420K $. A couple of years ago the banks (if you qualify) could lend you 80% plus of your buy price. Australia is banning badthink websites like ZeroHedge. Not that I’m huge fan of ZH. I think they’re a little nutty. But if Australia has decided to go down the fascist route in banning speech, I say eff em. Hope their economy collapses. ??? I am in Aus and I can see ZH, just opened it now. I am hearing this but I don’t know what people are talking about. Are there certain articles that are being blocked and I don’t know? It was taken offline for a few days. It’s now online again. Telstra wasn’t happy that ZH had a video of the NZ attack on their website. So, Telstra, in order to “protect” it’s subscribers decided to intervene and ban ZH. We run a real fine “democracy”, here in OZ. I’m being sarcastic, if you didn’t notice. Australia’s globalist quislings aren’t just banning non-PC sites. They’re also taking a page out of the Rahm Emanuel playbook: Never let a crisis go to waste. This is yet another example of why gun registration ALWAYS leads to gun confiscation. With rapacious oligarchs setting up hides-holes in NZ to flee with their ill-gotten wealth once the pitchforks and torches come looking for them, disarming the native populace, who have no great love for these gold collar criminals, is imperative. ”; once you’re in, “you’re pretty well set for life.” – what they meant is – Once you’re in you set for life of misery. You become debt slave. The Au Govt has never ever had the interest of its population at heart or trusted them. Due to the fact that the Au started as a penal colony, and the population was, the ENEMY. The Au govt still has this “population is an Enemy” mentality. Here in Melbourne it feels a bit like that period called “The Phoney War” immediately after Germany invaded Poland. Everything seems normal and everyone goes about their business as if nothing’s happened. The sun shines, people laugh at the news reports and go to the pub. The moment before the hammer hits the anvil.